Quantum computers have the power to provide solutions to some of the world’s toughest problems. While many people assume that quantum computers will replace classical computers, in reality, both technologies will work together to solve these problems. It can be helpful to think of a quantum computer like a GPU—a specialized processor used for applicable scenarios. Similarly, as classical computers run computations, the workloads or problems best suited for quantum could be processed by the quantum computer. From development to deployment, Microsoft is empowering the quantum revolution with a complete approach to quantum systems. This approach uses topological qubits, a type of qubit that allows the system to scale. The result is an integrated, scalable solution that combines both quantum and classical computing. The process of building a quantum computer includes creating the raw materials needed to make topological quantum devices, fabricating the cold electronics and refrigeration systems, and developing the overall infrastructure needed to bring the solution to life. In addition, our system includes everything you need to program the quantum computer, including a control system, software, development tools, and Azure services—a combination we refer to as our full quantum stack. Because quantum and classical work together, Microsoft Azure is a perfect environment for quantum processing and deployment. With data stored in Azure, developers will be able to access quantum processing alongside classical processing, creating a streamlined experience. Using the complete Microsoft quantum system, what would the start-to-finish experience look like? You would start by building your solution in Visual Studio, using the tools found in the Microsoft Quantum Development Kit. Using Q#, a language created specifically for quantum development, you would write the code for your solution with the help of the extensive Microsoft quantum libraries. When your code is complete, you would run a quantum simulation to check for bugs and validate that your solution is ready for deployment. Once validated, you would be ready to run your solution on the quantum computer. 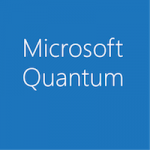 Your quantum solution would be deployed from within Microsoft Azure, using the quantum computer as a co-processor. As many scenarios will use both quantum and classical processing, Azure will streamline workflows as real-time or batch applications, later connecting results directly into your business processes. Together, this full quantum stack pairs with familiar tools to create an integrated, streamlined environment for quantum processing. Quantum computers can help address some of the world’s toughest problems, provided the quantum computer has enough high-quality qubits to find the solution. While the quantum systems of today may be able to add a high number of qubits, the quality of the qubits is the key factor in creating useful scale. From the cooling system to qubits to algorithms, scalability is a fundamental part of the Microsoft vision for quantum computing. The topological qubit is a key ingredient in our scalable quantum system. Different from traditional qubits, a topological qubit is built in a way that automatically protects the information it holds and processes. Due to the fragile nature of conventional qubits, this protection offers a landmark improvement in performance, providing added stability and requiring fewer qubits overall. This critical benefit makes the ability to scale possible. Microsoft has been working on scalable quantum computing for nearly two decades, creating its first quantum computing group—known as Station Q—in 2006. Investing in scalable quantum computing for over a decade, we have connected some of the brightest minds in the industry and academia to make this dream a reality. Blending physics, mathematics, engineering, and computer science, teams around the globe work daily to advance the development of the topological qubit and the Microsoft vision for quantum computing. 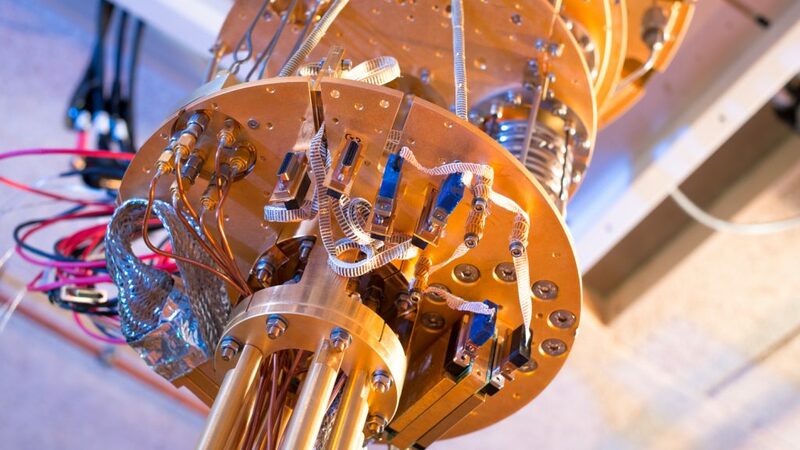 At Microsoft, we envision a future where quantum computing is available to a broad audience, scaling as needed to solve some of the world’s toughest challenges. Our quantum approach begins within familiar tools you know and use such as Visual Studio. It provides development resources to build and simulate your quantum solutions. And it continues with deployment through Azure for a streamlined combination of both quantum and classical processing.